Several readers passed along word that firefighters were on the scene late last night on St. Mark's Place between Second Avenue and Third Avenue. Looks as if the FDNY was at 20 St. Mark's, high above the Grassroots. 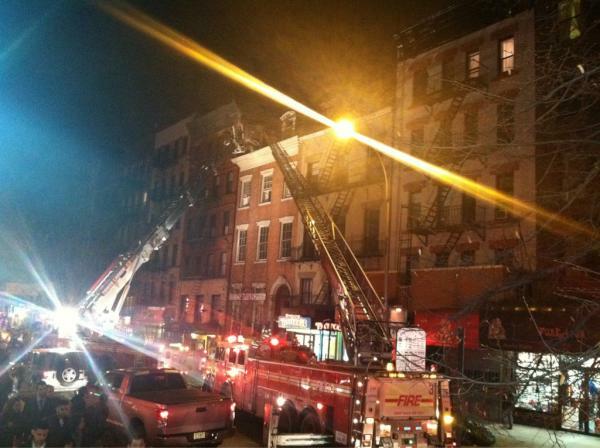 Photo via @IrisBlasi who noted: "Fire on St. Marks. (Seems to be put out; everyone ok)"